Beautiful and trendy dress from Culture. The dress has this very popular and trendy dot print. The dot dress has a loose fit, a round neckline, ¾ sleeves with ruffles, and a length below the knee. The dress is very comfortable with its loose fit. 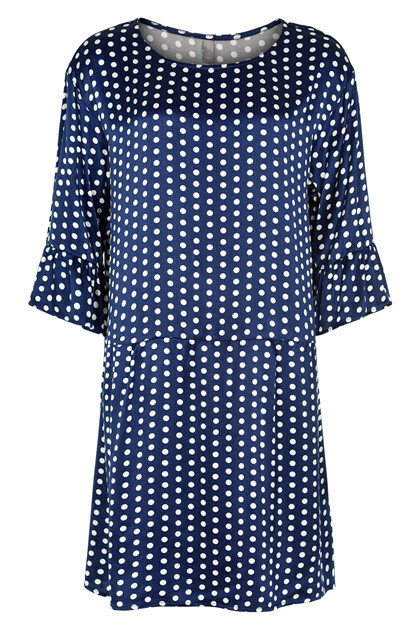 This dotted beauty matches really well with both a cardigan or a denim jacket. And, if the weather is chilly, the dress is also very stylish with a pair of cool jeans underneath.